In 1924, Ströher registered the name Wella at the German patent office, derived from the term, welle, meaning waves. Within the next few years, Wella introduced the first hair perming appliances to local salons, as well as developed the first hair dryers with built-in motors. By the 1950s, Wella expanded into hair color, and to this day the business continues to deliver innovations that enable new forms of creativity within the hairdressing industry. 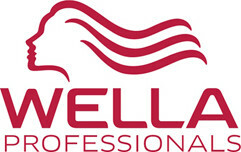 Wella industry is focused on the high quality cosmetic products. Wella fully respects modern environmental and health aspects. Emphasis on customer health is the foundation of philosophy and the driving engine of this company's research. Wella hair care products are traditionally associated with beauty, temperament and nature. Thanks to them, everyone can turn their hair ideas into reality with no worries about the health of their hair. Wella Professionals is the perfect system for complex care for all hair types.